The City of Cambridge is home to the prestigious and world famous Cambridge University, that dates back as far as 1209. With a wealth of historically important buildings to be found throughout the city, offering access to those with limited mobility can be challenging in some of the more notable or listed buildings. At Tower Lifts, we believe that beautiful, period homes should not lead to limited access for residents and home owners, which is why we work hard to provide effective mobility lift installations for Cambridge. From traditional Cambridgeshire cottages to grand period properties and modern new build developments, every home in the City should offer easy access for everyone. We are experts in the provision of disabled lifts within residential properties of all ages, and carefully craft solutions that enable access for homeowners or visitors of all abilities and should be your first choice for mobility lift installations in Cambridge. Limited mobility doesn’t have to mean a limited lifestyle. With the addition of a mobility lift, vertical access can be achieved quickly and easily in any domestic or residential setting. As an experienced provider of Cambridge lift services, the team at Tower Lifts works alongside our customers to provide them with safe, efficient and cost-effective mobility lift solutions across a variety of applications. 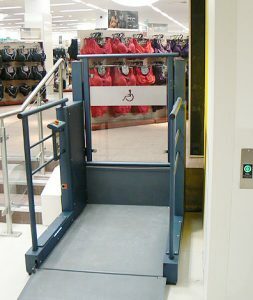 If a physical or visual disability means you or your guests struggle to use stairs, our top quality disabled lifts offer the much needed convenience you need to move between floors. We can design and install a bespoke residential lift that will meet your needs completely. We are one of the most called upon mobility lift suppliers in the country and have over 15 years experience installing lifts in private residences. Our residential mobility lifts fully comply with the Disability Discrimination Act guidelines for your additional safety and peace of mind. We appreciate that mobility lifts are designed to offer security and independence which is why we create tailor made solutions for every home. This means that we are able to fully customise the width of doors, as well as the cabin size, in order to accommodate any special items that might be required to fit into your mobility lift including wheel chairs, frames of other mobility equipment. If you would like to find out more about a mobility lift for your domestic, residential or commercial setting, speak to our team to day on 01525 601099. Because we understand that homes come in all shapes and sizes, we offer bespoke solutions to fit every environment. Our mobility lifts can be fully integrated without spoiling the look or feel of your surroundings. Quiet, safe and reliable, you can depend on our mobility lifts in Cambridge to safely transport you from floor to floor. We can also supply mobility lifts for larger, commercial applications that can assure your customers or visitors safe passage between floors. Our platform lifts are fully customisable and can be tailor made to fit the exact specification of your building, and blend in seamlessly with their surroundings. 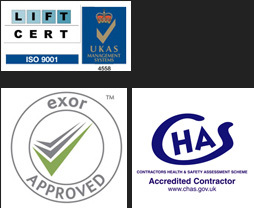 Alongside our mobility lift installations we also provide a variety of lift fitting services and maintenance.